Soil stabilization is key to maintaining the integrity of slope and the project site integrity. By increasing the stability of the soil, you can increase your useable space on any project site, helps prevent unnecessary erosion and runoff, makes the site safer for the occupants, visitors and maintenance crews, as well as improves the aesthetics of the site. Erosion control is a primary concern for any site with a slope. Soil erosion and runoff must be managed both during and after construction of a project to make sites both useable and safe. Retaining walls control erosion by stabilizing slopes that could be washed away with heavy rain. Soil that is washed or blown away from a site is likely to make its way to nearby waterways and contributes to sedimentation. A carefully planned retaining wall can be a multi-faceted solution to erosion control and storm water management. Water absorbed by the soil is pulled down-slope by gravity. A certain amount of water will build up behind a retaining wall, but building proper drainage into a wall design can prevent damage to the wall and to the slope it is stabilizing. 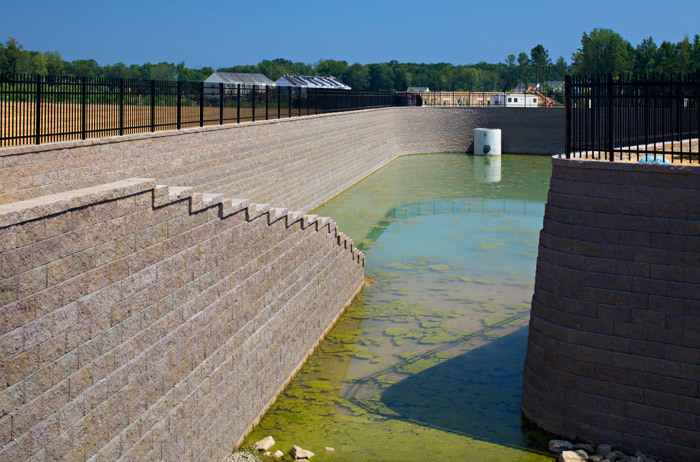 Retaining walls are designed to handle some water build-up by considering the soil type and backfill necessary to improve drainage and relieve water pressure. 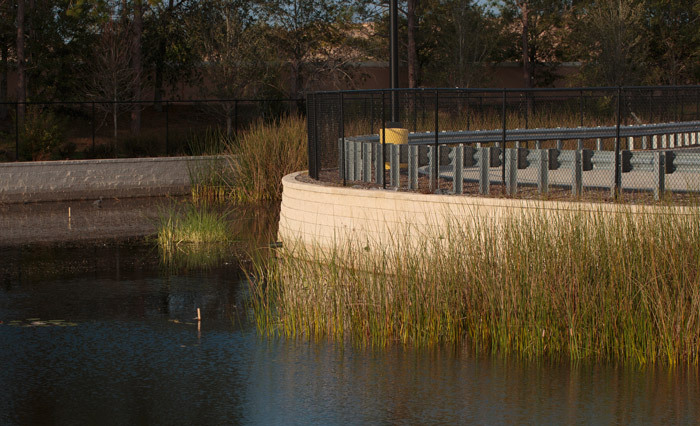 For storm water management, segmented walls can be designed with irrigation units that support plant root growth and stabilizes the soil. Plants help to filter out pollutants from storm water or runoff and to help minimize potential damage from heavy rains. They also prevent excessive runoff into streets, parking lots, and nearby waterways. Incorporating plants onto supported terraces also allows the wall to withstand greater pressure, much like deep roots hold soil naturally. Two obvious, but perhaps overlooked benefits of segmental retaining walls, are that they make a site more useable and safer for occupants. This is especially true in residential applications where the site has a significant slope. 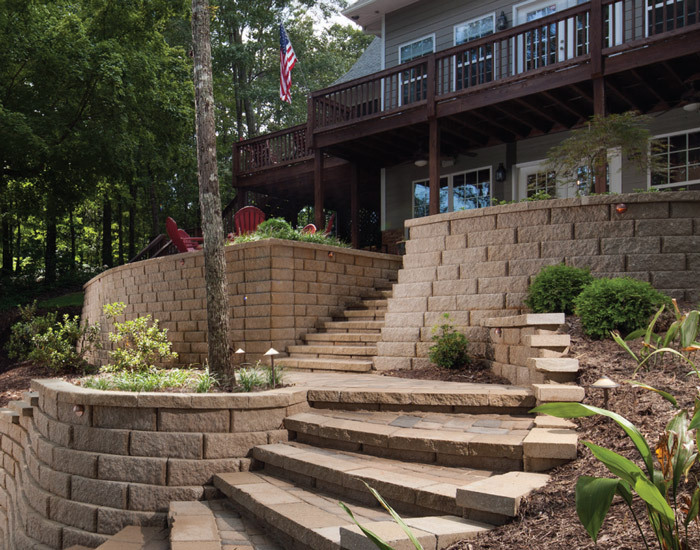 Adding a retaining wall can provide multiple tiers to a yard, offering the homeowner more useable space where there had previously be little to none. Site safety is important in all instances, and minimizing an unstable slope directly impacts the safety and utility of the land.